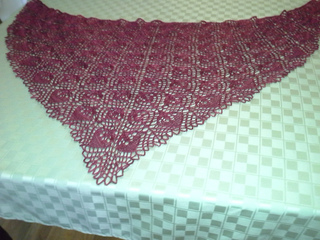 Lotus Shawl is knitted from just a single skein of MadTosh sock. 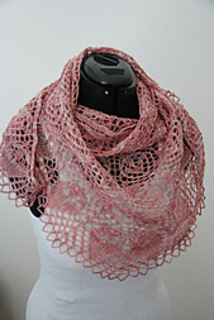 The design is based on a lacy lotus flower pattern. 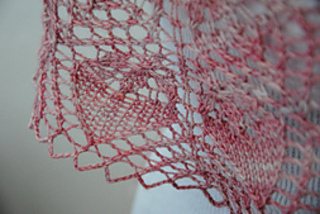 The pattern can be repeated until requested size is obtained adn finished with a less lacy flower. 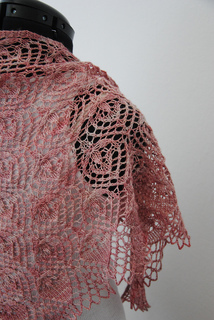 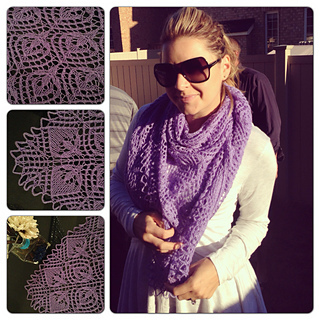 The shawl is cast off using a crochet hook. 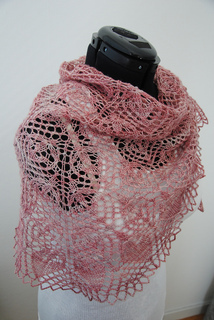 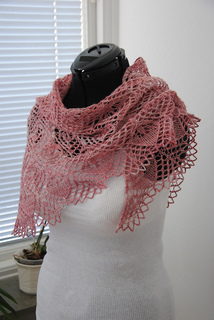 The pink sample is knitted with 7 repeats and measures 150x60cm. 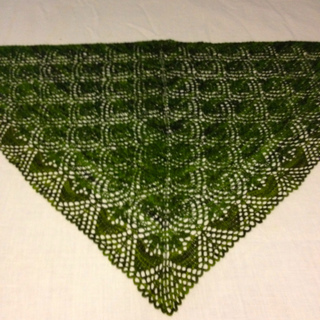 Thank you to my helpful testknitters: Cendrillon, Little Tiger Cat, Lotta, Jessica, Tanya, Mia, Marie, Kathi, Emma, Carol, Anne and Marita.